Formed in Yokohama in March. Released an EP “Gjallarhorn” in December from an indie label. Released an EP “Phantomime” from an indie label. Had a show “Chaos no Hyakunen vol.2” at La.mama Shibuya featuring ”HOLSTEIN”,”cork”,”nature living” and “Wasuregataki” in September. Had a show “Chaos no Hyakunen vol.3” at 1BASEMENT BAR featuring Zubons in January. In February, First solo shoe “Kikai no Idenshi” was held at Shibuya O-nest. In April, Solo show “Kyu Sekai no Saisoku” held at Daikanyama UNIT and Another at 2nd LINE Osaka. In May, Prepared Disc “The World e.p.” was released. Between May and July, their first nationwide tour “The World tour” was held. In October, Debut Disc ”Discommunication e.p.” was released as a major label single. In November, their first album “Termination” was released. A solo show “Garasu Goshi no Boso” was held at LIQUIDROOM Ebisu. The first solo show Tour “Termination Tour 08” was held between January and February. In June, A solo show “Mujuryoku no Cube” was held at SHIBUYA-AX. “Nipponia Nippon” was held as a collaboration tour with Rin toshite Shigure between June and July. In September, self-produced event “Chaos no Hyakunen vol.5” was held at Shibuya La.mama, featuring Dainoji. In Ocotober, their 2nd album “VAMPIRE” was released and they had a solo show titled “Akatsuki no Yaon” at Hibiya Outdoor Music Hall. in April, to celebrate the release of a Live DVD “act I” they had a free show at Yoyogi Park Outdoor Stage. Between and June and July, ”THE BACK HORN” and the band went on a tour “Daisanji Memai Taisen”. On September 9th , They had a premium solo show for this miraculous 999 day at Nippon Budokan. In December, for the last “9 day” they had a solo show titled “Chaos no Hyakunen vol.6” at Shimokitazawa CLUB Que, featuring GO! GO! 7188. “Inochino Zenmai” Daijungyo wa held between February and March. In April, third album “Revolutionary” was released. And “2GB” as a limited production. Between May and June, a solo show tour, ”Revolutionary Tour 2010, was held.Tokyo, Nagoya, Osaka had hall shows. In September, self-produce event “Chaos no Hyakunen vol.7” was held at STUDIO COAST, featuring ”BOOM BOOM SATELLITES” and ”SOIL&”PIMP”SESSIONS”. In December, “Rin to Shite Shigure” and “Midori” shared an event titled “Shinkiba Crisis” at Shinkiba STUDIO COAST. In April , the band went on to 2band secret tour with ”SPECIAL OTHERS” for Osaka, with ”10-FEET” for Nagoya and ”BRAHMAN” for Tokyo. In June, their 4th album “Movement” was released and had a solo show at okohama Arena “Movement YOKOHAMA”. Between July and September a solo show tour, “Movement Moment Tour 2011” was held. Also during this tour, they performed in Korea and Taiwan as their first international show. 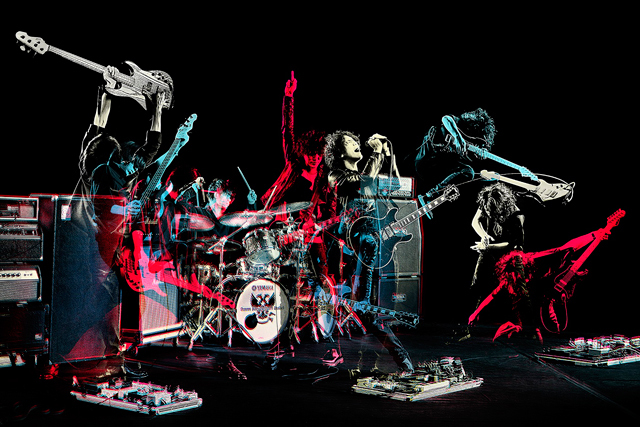 Between November and December, they had a spin off 2 band tour “Movement Moment Tour 2011 Bangaihen ” , featuring Maximum the Hormone for Hokkaido, POLYSICS for Kyushu, and ”avengers in sci-fi” for Hokuriku. Also,during this tour, they opend for ”ATARI TEENAGE RIOT”, whose music they use before the show. In January, Maximum the Hormone and the band had a show titled “Movement Moment Tour 2011 Bangaihen ～MAXIMUN THE HORMON Movement Ura Final” at Hachioji Match Vox. In May, their first solo acoustic show “MTV Unplugged” was held at Billboard Live TOKYO. In Sepmtember, a self-produced event “Chaos no Hyakunen vol.8” was held as female only show (day time) and male only show (night time). 1Between October and November, a two-band tour “THE BAWDIES × 9mm Parabellum Bullet Gakuensai Tour” was held to go around for School festivals. In November “EAST COAST TOUR” was held to go around Tohoku area. In March , 9 th anniversary show “39 ?Thank You- LIVE” was held Shinjuku Furin Kaikan”. Between March and April, a solo show “Sakura Zensen Buttagiri 2013 was held. In June, 5th album “Dawning” was released. They went on a solo show tour between July and November “Breaking The Dawn Tour 2013”. The tour final was in Taiwan. In September, they had a self-produced event “Chaos no Hyakunen vol.9” at Yokohama BLITZ. “10th Anniversary Live “O”/”E”” in February. The set list was different for each day. In July, their first best album “Greatest Hits” was released. n September, they had a self-produced event “Chaos no Hyakunen vol.10” at O-EAST Shibuya for three days featuring 3 bands. A total of nine bands performed, three for each day was invited. ”STRAIGHTENER” と”Wienners” for the first day, ”KEYTALK” and ”TOTALFAT” for the second day and ”10-FEET” and ”ACIDMAN” for the final. Between September and December they went on to a solo show tour “Next Bullet Marks Tour 2014”. In December they dropped their 6th single “Seimei no Waltz”. In February, Takuro Sugawara went onto his solo tour “Takuro Sugawara Hikigatari Tour 2015”. On September 9th, QUATTRO A-Side Single “Hangyaku no March /Dark Horse,/Daremo Shiranai/Mad Pierrot” was released and the release party was held at Shibuya CLUB QUATTRO. In October,they had the first tour version of “Chaos no Hyakunen TOUR 2015”. The opening act was 9mm Parabellum Bullet(Acoutic Set)” for all the dates. In February and March ,”GUKKASTEN” and the band had a shared show”Chaos no Hyakunen x Squall”. In April, they dropped their 6th album “Waltz on Life Line”. In June they had a solo show “9mm Parabellum Bullet LIVE 2016 “Waltz on Life Line” at Hibiya Outdoor Music Hall”, followed by a solo show tour “9mm Parabellum Bullet TOUR 2016 -Taiyo ga Hoshii Dake”. On July 8th , the 8th single “Inferno” an opening theme for a TV anime “Berserk”.